ADopplerEn2 [Donationware], Other Effect Plug-in from AZ Audio. AZ Audio has updated ADopplerEn to v2.001. Fixed the display of power button state. Cutoff frequency modulation scale changed. New click zone to reset recording buffer. Insert Piz Here Mr. Alias 2 Insert Piz Here has updated Mr. Alias to v2.01. Audiffex GK Amplification Standard & Pro Audiffex has announced the availability of its Gallien-Krueger Amplification plug-ins, the result of the cooperation between Audiffex and Gallien-Krueger, the bass amps and speakers company. 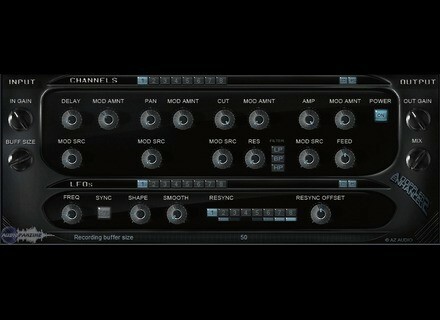 Brainworx bx_hybrid TDM All bx_plugins available to date are available in TDM, RTAS, VST and AU format now. Latest to be released in the TDM format is bx_hybrid.